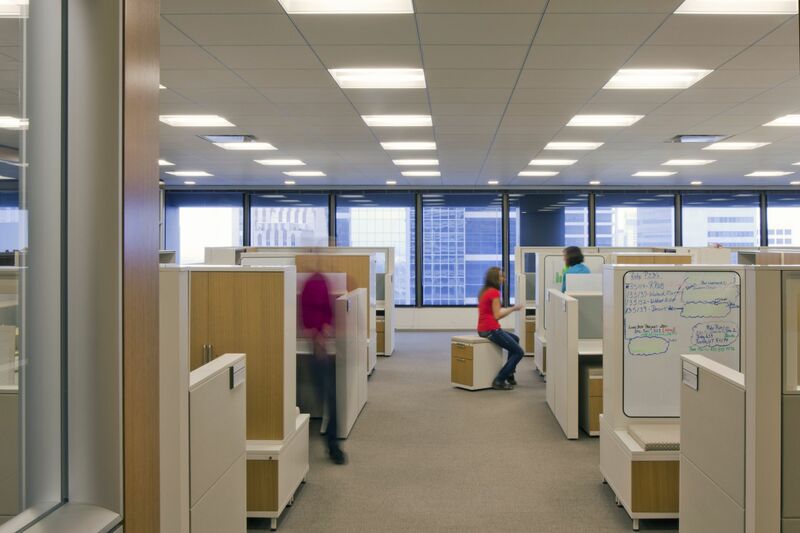 Acoustical management is a challenge for both design professionals and building occupants. A certain level of background sound within a building is expected, and generally contributes to a pleasant ambient environment. Unwanted noise can cause occupants to feel irritable, distracted, anxious, hostile, or annoyed. This is why it is critical to closely review the intended use and design of commercial environments so sound levels do not become ‘noise’ concerns. Construction practices to reduce noise are increasingly important, with many builders and architects looking for cost-effective ways to further reduce sound transmission. When properly installed within a wall, ceiling, or floor assembly, fibreglass, rock, and slag wool insulation offers sound-absorbing benefits and reduce unwanted noise in occupied spaces. Building environments can be affected by multiple, noise competing sources both inside and outside. For the first category, examples include traffic, lawn and garden equipment; indoor sources include appliances and electronics. The result impedes communication and makes focusing and communicating more difficult. In extreme cases, noisy environments can contribute to hearing loss. At the start of a building project, architects and designers consider use of the space and potential noise sources, planning possible acoustical solutions for the project, particularly when there is a special-use room (e.g. a sound studio or media room within the building). An acoustical engineer can advise of the proper solutions to address any potential problems with noise within a space. In problem areas, this is best addressed at the onset of a project. While it is possible to retrofit noise attenuation products after installation of building equipment, costs are generally much higher—and the results are about half as effective—as designing proper sound control into the system before the noise source is installed. Fibreglass and rock and slag wool insulations can help absorb sound travelling through wall and floor assemblies. The acoustic enhancement insulation can be installed in roof/ceiling applications, as well as interior or exterior wall applications in wood or metal framing cavities for acoustic enhancement. Additionally, acoustic insulation panels installed over hard surfaces help reduce echo and improve sound clarity in gymnasiums, conference rooms, and concert halls. These installations are manufactured to common stud widths and are slightly wider than common stud spacing to accommodate easy friction-frit installations and prevent sagging. In office spaces without adequate insulation, it is not uncommon for productivity to drop when employees can hear nearby conversations. Sound is energy travelling in waves that have both amplitude and frequency. Amplitude relates to pressure and, to a large degree, affects loudness. Frequency relates to pitch and affects how high or low a sound is. It is the intensity of sound (i.e. dB) with which most people are familiar. A typical conversation in a normal speaking voice measures about 60 dB and a power mower is approximately 107 dB. Sound waves can travel through air, water, wood, masonry, or metal. Depending on how it travels, sound is airborne or structure-borne. In the first case, it flows from the source directly through the air. Structure-borne sound, on the other hand, travels through solid materials, usually in direct mechanical contact with the sound source, or from an impact on that material. For example, loud speakers on a floor vibrate this sound that then becomes airborne, enabling people to hear it. absorbing the sound with a light, porous material that soaks up sound waves. The degree to which construction is effective at blocking noise is expressed as its sound transmission loss (STL) value. These values are measured at each one-third octave band frequency from 125 to 4000 Hz, and are expressed in dBs. STL values are determined and measured in accordance with ASTM E90, Standard Test for Laboratory Measure of Airborne Sound Transmission Loss of Building Partitions and Elements. From the sound transmission loss values, a single-number rating called the sound transmission class (STC) is determined using ASTM E413, Classification for Rating Sound Insulation. Every newly built dwelling unit in Canada must be separated from other adjacent units in a building by a separation wall, floor, or ceiling partition constructed to provide an STC rating of at least 50, according to the National Building Code of Canada (NBC). Sound transmission loss from one side of a wall to the other depends on a number of design properties including the materials used and the properties of sound. Double-wall assemblies effectively ‘break,’ or decouple, the vibration path within the wall assembly. As a result, most double-wall assemblies provide higher STC ratings compared to single-layer walls. The STC values of a lightweight wall can be increased as much as six to 10 STC points by adding acoustical insulation to the stud cavity. Any gaps within the structure should be sealed as any structure that leaks air also leaks sound. 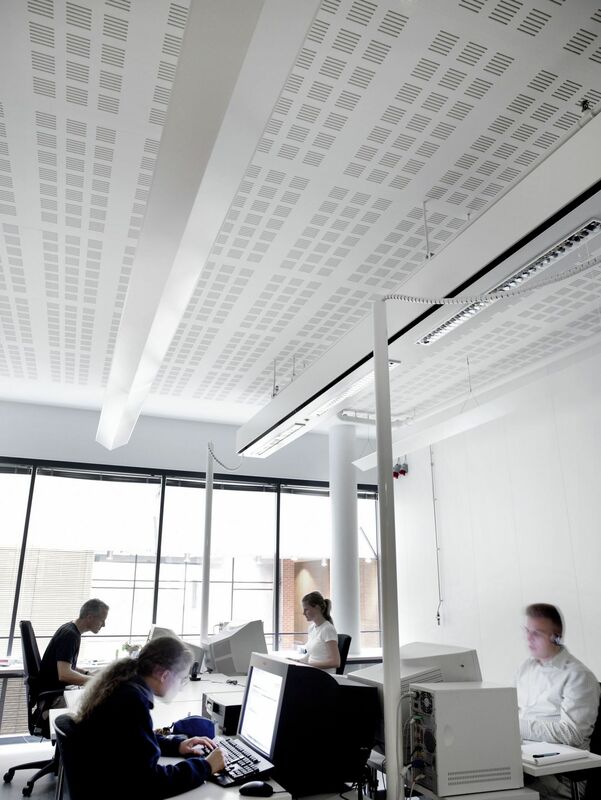 In a multi-storey building, controlling sound transmission through ceilings/floors is an important step to optimize occupant comfort. In addition to the STC rating, floor/ceiling assemblies can be assigned an impact insulation class (IIC) rating based on how well they perform at reducing structure-borne sound that comes from footsteps or dropped objects as examples. Adding fibreglass or rock and slag wool insulation to the joist cavity, along with a resilient ceiling structure below the joists, will increase the STC and IIC ratings of a floor/ceiling construction assembly. When addressing a noise control problem, the first step is to investigate the source of the noise to determine whether there is a simple solution to resolving the problem. A particular noisy piece of equipment, for example, might need a simple adjustment or repair to eliminate or reduce the noise. If this is not the case, the next step is to measure the noise at its source, along its path and at the receiver or listener’s location. Finally, once the noise source has been located, diagnosed, and measured, a solution can be designed. The noise reduction strategy may involve an acoustic treatment at more than one location. For example, an acoustical enclosure of the noise source plus sound-absorbing materials along the path may be the most effective and economical solution to address the problem. Additionally, finding a solution to the noise control problem may involve a treatment that provides both sound absorption and sound transmission loss properties. caulking around electrical boxes and underneath wall plates. An added benefit of these measures is they also help increase the building’s energy efficiency because air leaks throughout the building cause the HVAC system to work harder to heat and cool the building. The current standard for measuring airborne sound transmission International Organization for Standardization (ISO) 15712.1, Airborne Sound and Insulation Between Rooms, developed by the European Commission for Normalization, provides a reliable estimate for some types of construction. However, it does not really apply for the lightweight wood-framed construction commonly used for Canadian low-rise and mid-rise buildings. For lightweight framed construction, the Apparent Sound Transmission Class (ASTC) method developed by ASTM is more suitable for measuring multiple paths for sound transmission between adjacent rooms, because it considers not just direct transmission through the separating assembly but also indirect transmission (i.e. flanking) where sound passes over the top, or under the primary partition separating two spaces through paths such as ceilings, walls, and floor surfaces. 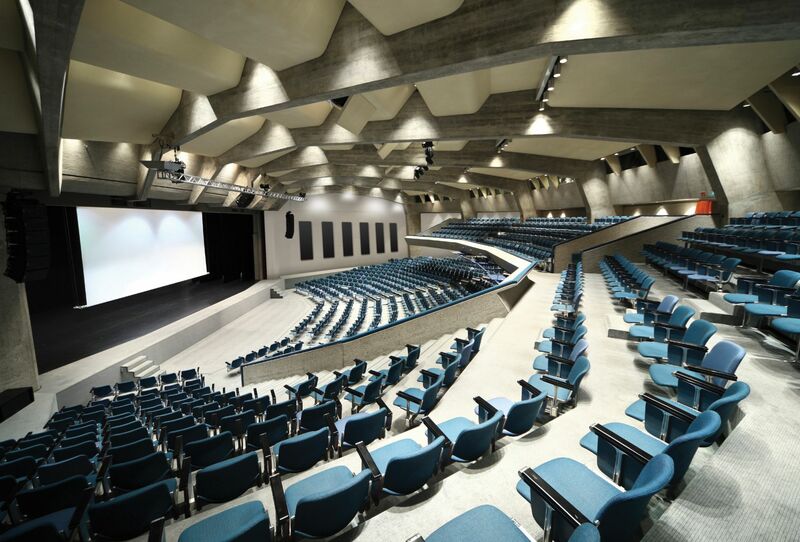 A steering committee comprising Canadian building industry professionals has developed recommendations for improving acoustics in Canadian buildings. The recommendations, which would be included in the 2015 NBC, are a shift from a focus of individual assemblies (i.e. walls or floors) to a focus on complete system performance, including direct and indirect south paths. Standardized procedures for calculating the overall transmission, combined with standardized measurements to characterize sub-assemblies, provide a much better prediction of sound transmission between adjacent indoor spaces. low accuracy of its predictions for lightweight wood or steel frame construction. To bypass the limitations of ISO 15712.1, the recommendations seek to merge ASTM and ISO test data in the ISO calculation procedure, and provide guidance for applying extended measurement and calculation procedures for specific, common types of construction. One can show compliance to the current minimum STC requirement in the NBC using results from measurements carried out in accordance with ASTM E90, Laboratory Measurements of Airborne Sound Transmission Loss of Building Partitions and Elements, or by conducting onsite measurements using ASTM E336, Measurements of Airborne Sound Transmission Sound Attenuation between Rooms in Buildings, or referencing assemblies cited in Appendix A, Table A-9.10.3.1 (wall assemblies) or table A-9.10.3.1.B (floors). Better methods to measure sound will facilitate enhanced acoustic performance for insulation in multi-unit structures. The best strategy for optimizing acoustic comfort in dwelling units is to address all the possible sound transmission paths in the architectural details so they can be easily incorporated during construction. Identifying the location of noisy equipment, incorporating a systems approach that allows consideration of all noise paths, sealing all air leaks within the building, and considering all the sound transmission paths will help avoid potential noise control problems within the building space and costly repairs. 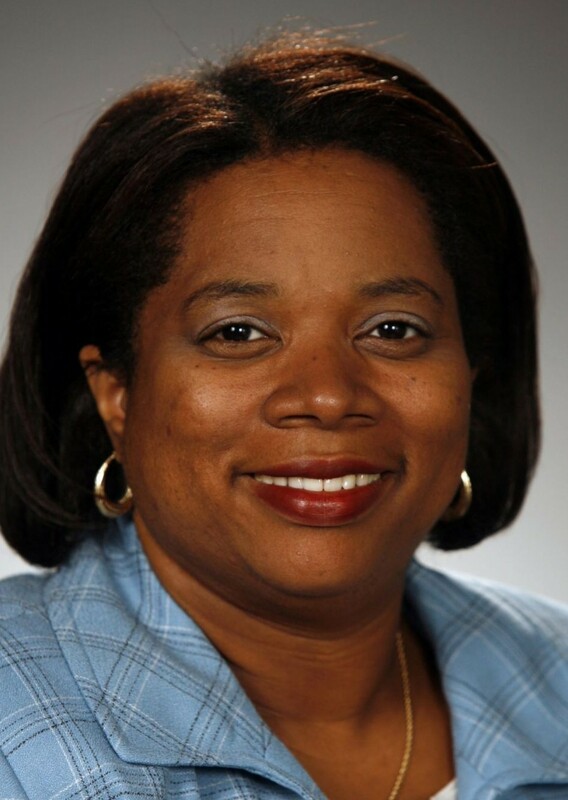 Stacy Fitzgerald-Redd is communications director for the North American Insulation Manufacturers Association (NAIMA), a source for energy efficiency, sustainable performance, and the application and safety of fibreglass, rock wool, and slag wool insulations. 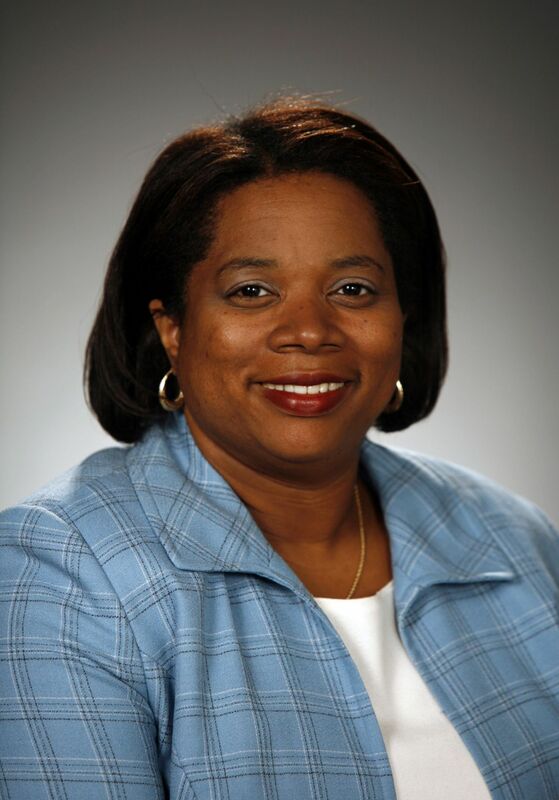 She has more than 20 years of association management and communications experience. Fitzgerald-Redd may be contacted at sfitzgerald-redd@naima.org.